Donald Trump is in trouble in Florida, a state that’s crucial to his reelection hopes. Just 40 percent of Florida voters said they believed the president should be reelected, while 53 percent were opposed to a second term, according to a new Bendixen & Amandi International poll. Trump’s approval ratings were also poor, with 43 percent having a favorable impression of Trump, and 52 percent viewing him unfavorably — and 46 percent very unfavorably. Trump’s approval ratings look even worse when compared with the man he helped make Florida governor, Ron DeSantis, who has a 50 percent approval rating while only 23 percent disapprove. If Florida is in play, I'd say Biden or a moderate is likely to be much more competitive than Sanders or a progressive will be. 46% VERY unfavorably. :) And as said, before the report. Florida's elections are so crooked. Does it matter? Gillum was as charismatic as they come. Ah yes! Gillum! What's wrong with Florida? They lost a great guy! The state is ready for a democrat. We elected one as Agriculture Commissioner. Yeah, well, you just blamed democrats for his loss. You mean Americans like being screwed? And worse than the Gilded Age? Yeah! More please! More of THIS, please!!! In 2018 Ted Cruz had very high unfavorable ratings. All Dems will beat Trump. Neither Gillum nor Nelson appealed the outcome of the election other than requesting a recount. I think if Biden wins we lose America. Can you generate just a little more Hyperbole? Did you see what I quoted about bipartisanship? Is he viewed favorably ANYWHERE? Surprising. They seem fond of racists down there. Demographics were interesting in the poll. ..."spend more time consolidating your base"
Rigged elections did not cost those races. When folks like my father are opposed to Trump; you're fucked. Don't tell that to Floridians. What your selling does not play here. Florida is around 55% white. If you don't count Hispanics as white. I'd classify Biden as a progressive. And all the House and other investigations expose them all. Those numbers will skyrocket up after they're fully exposed to the public, which they all will be. They've dug their own hole , and it'll soon be over for all those involved after getting exposed. The American people don't do corruption, and treason. 2. 46% VERY unfavorably. :) And as said, before the report. 3. Florida's elections are so crooked. Does it matter? corruption, hard suppression, and TRussian interference will be focused. Like if we have to turn MI WI & PA what's to say it won't be rigged like many think it was last time? Florida - probably still has Jeb rigging software. I wish we could campaign without them knowing where. Even in the “blue wave” year Florida was a DISASTER last November. The results there were so bad pundits were actually questioning whether there was even going to be a blue wave. We now know how corrupt that election was (as well as the outright theft of Georgia). I have a hard time believing Dems can overcome the corruption there in 2020. We need to focus our efforts elsewhere. One would think our party would fight tooth and nail for fair elections there. The demographic changes should favor us as new people move there from liberal states plus Puerto Rico. I've seen evidence of polling misconduct almost every time I've voted in Florida with my own eyes. The right candidate could certainly beat Trump. When under an existential threat, rolling the dice is a bad idea. and "rolling the dice" is better applied to so-called "centrists." Those "centrists" are actually conservatives who support the rich, a futile position most Americans are pretty sick of. Enough rounds of "trickle down" baloney has proven, even to the numb, that giving our country away to the rich doesn't work. Those polls indicate, among other things, that Trump has awakened the nation to the destructive concentration of wealth in the hands of the few (especially in the hands of the spoiled rotten). Just watch what happens when both the Mueller report AND the next recession kicks in. There won't BE a "center," and the "conservatives" (the most hypocritical term in the galaxy since they have no interest in conserving their planet) will be a wreck. Yep, those polls tell us that educated progressives (who want to "conserve" FDR's New Deal and the planet), are the trend – and every sociologist worth her salt has indicated it was inevitable. The task here is for HONEST Democrats to explain to Floridians and the rest of the US what is happening to their Democracy. We don't have to play by the old Clinton handbook. Still cranking out that "Democrats in Reagan's clothing" is the actual gamble. 40. You can't be serious! We just ran a very progressive candidate for governor against a very beatable republican and got run. Graham would be governor nor had she won out nomination. 48. Gillum was as charismatic as they come. A fantastic candidate. Just not for Florida. A 50 state strategy means running candidates that can win where they are running. We just proved a progressive candidate will not win Florida running against a relatively weak candidate. As a resident I don’t need to learn that lesson twice. Almost every republican district we picked up last year was by what the progressives on this board call a moderate. But I call a good democrat. And we all now call congress member. A Biden/Harris ticket or even better, Biden/Booker wins in Florida. 55. Ah yes! Gillum! What's wrong with Florida? They lost a great guy! 56. The state is ready for a democrat. We elected one as Agriculture Commissioner. The 2nd most powerful position in the state. But Gillum got tied to Bernie Sanders who came down here and helped him win the primary. That was costly. The Base of our party here is African Americans and they understandably supported him. And he could have won. I think Gwen Graham had a better shot and would have won, but once Gillum was the candidate I was fully on board. But his rally with Sanders hurt. He could not shake the radical label once he welcomed it. Florida is not NYC or Vermont. We will elect Democrats as Nikki Fried, our Democratic Commissioner of Agriculture proved. Oh, and we voted for Obama/Biden both times. FDR and all those wonderful Suffragettes, and my abolitionist Quaker ancestors weren't radical. So you're right, Sanders/Gillum were up against a label —and still are. The Democrats during the primaries, prey upon their own by repeating that label. Gillum's own Democratic colleagues may have tilted Florida against him. Yet he was anything but "radical." Since when is being kind and well educated "radical"? 58. Yeah, well, you just blamed democrats for his loss. I guess that makes you feel good. But it makes me think about what we need to do to win. The fact not all Democrats or all Americans agree with you means if you want to win you have to recognize reality. I am way more left than most Florida Democrats. But if we don’t win we get nothing. I don’t live in NYC or other liberal bastion. I just want a democrat. Don’t have the luxury of purism. Sanders hurt Gillum in the general election. And if we run Sanders or a candidate like him we will lose again. Americans want normality. They have had enough of radical change. 63. You mean Americans like being screwed? And worse than the Gilded Age? This current economic imbalance is what is radical. What Americans need is light and love. They need information leaders. Giving them more blindness is only helping the criminal class. Have more faith in your fellow Americans. Tell them what's going on, give them better (non-Fox) infornation, and they will start to vote for many more heros like Gillum. You have to be proactive and fight WITH those who are taking the wool off people's eyes. 5. Yeah! More please! More of THIS, please!!! Only half of that 52% will actually vote while ALL of the 43% will vote. It's florida. 8. In 2018 Ted Cruz had very high unfavorable ratings. He still won. Democrats need to get people registered everywhere and make sure registrations don’t get purged because some clerk added an “e” to the end of a person’s name. Republicans will use every dirty trick they can to win. In Florida, a lot of ex-felons can now vote—need a special outreach to get them registered AND to thebpolls to vote. Florida just passed a Constitutional Amendment to restore voting rights to ex-felons (approximatley 1.4 million people) who would not be included in this polling data. If they get this implemented as they should it's a whole new ballgame. there somewhere in my state. There has not been an election since 2000 where the declared vote count was even close to the actual ballots cast. The best case for the GOP in 2020 — and they know it — is to get as centrist of Dem candidate as they can. Any Dem candidate is highly likely to win in 2020– just look at the Dem landslide in 2018. Republicans bide their time for 4 years, obstruct as they did with Obama, then try again for the White House. And nothing changes- the country is finished. Our only hope to fix the country is to run someone who is going to address the underlying issues — money in politics and Republican extremism — and fight the GOP like no president has in decades. We will have a small window in 2020 to push through major reforms. If we don’t do that Republicans will control the nation for decades. That’s why Warren is my candidate. It’s not the moment for a centrist. It’s the moment for a fighter. that a "centrist" will not be a fighter?. 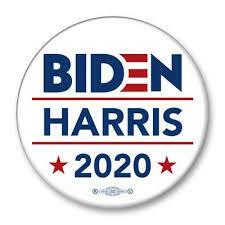 With all the personal tragedies that Biden has endured his continuation of dedication, passion, and focus on restoring honor, integrity, and honesty to the WH should prove to you that he is a fighter. You are missing the point that the priority of Democrats in 2020 is to select a candidate that can beat Trump. Biden can beat Trump. I am a fan of Warren and think she will have a significant and important role in a Biden administration, but she cannot beat Trump. That is what I feel in my gut. 45. All Dems will beat Trump. Look at his polling in PA, WI, MI. pushed by the rightwing propaganda media driving GOP base turnout. Trump is going to get *destroyed* in 2020. And he knows it. And Dems better run a candidate who can fight the GOP, not one who tries to compromise with them. 24. Biden isn't a centrist. And, frankly, if you think Biden isn't a fighter, you don't know much about him. I like a lot about Biden and would have voted for him in 2016. But his time has passed. It’s time for a more social-Democrat fighter who’s going to take on wealth inequality and voter suppression. There is no working with McConnell; only fighting him. I’d go Warren, Booker, Harris in that order. I love Harris but the other two have greater legislative experience which I think will be valuable. Former Vice President Joe Biden defended his embrace of bipartisanship in a divided era Thursday, responding to criticism he has received for praising Republican congressman during the midterms. "I read in the New York Times today that one of my problems if I were to run for president, I like Republicans. OK, well, bless me father for I have sinned," Biden said as he made the sign of the cross while speaking to the United States Conference of Mayors. "From where I come from, I don't know how you get anything done. I don't know how you get anything done unless we start talking to one another again." Biden's defense of bipartisanship offers a preview of a possible message the former vice president could embrace should he run for president in 2020. Biden often touts his work reaching across the aisle during his 36 years in the Senate as well as his two terms as vice president under President Barack Obama. He was a "fighter." He was endorsed by Bernie Sanders in the primary. His opponent was a proud supporter of Trump. The Republican won. The Republican did not “win”- nothing of the sort. The Republican stole the election via voter suppression. Same with Rick Scott. He’s an illegitimate Senator. Nelson should be Senator. Same with Stacey Abrams. She’s the rightful governor. 61. Neither Gillum nor Nelson appealed the outcome of the election other than requesting a recount. Perhaps you have more information about this than they do. You’re right: Dems are FAR too timid. Republicans steal elections with impunity. The first step is for people like you to stop blaming the candidate and name the GOP for election theft. By a very beatable republican. Don’t need to learn that lesson twice. You run a Warren or Sanders here, and although I will work hard for them, they will not win Florida. Biden/Harris or Booker takes this state. 51. I think if Biden wins we lose America. I like Biden and I like what he’s done in the past. But we face a national existential threat. The GOP stole the 2016 election by breaking the law, voter suppression, dirty money, and lots of help from russia. The GOP stole the 2018 Florida governor and Senate elections by voter suppression and dirty money. We have a two year window — IF we win the Senate - to stop the GOP from stealing future elections. If we do not do that, the GOP will steal the 2022 and 2024 elections, lock in voter suppression, and use their dirty Trump judges to re-Lochnerize the government. If we elect a candidate with ANY desire to compromise with Republican greedy criminals, this country is finished. 53. Can you generate just a little more Hyperbole? We lost the Florida Governor election because we nominated a candidate more on the left than most Floridians felt comfortable with. We won the Agriculture Commissioner, which if you live in Florida you would know is the 2nd most powerful position in the state. In my opinion, had we nominated Graham we would have the governorship now. And President Biden loses the country? OMG. He was fighting for Democratic causes when Warren was a republican! And I like Warren. Would work for her. But she will not win Florida. And the way you so blithely write off Florida, the 3rd most populous state in the nation which Obama and Biden won twice. We lose Florida, then we lose Wisconsin, Pennsylvania, North Carolina and maybe Virginia. And Ohio for sure. Which means we lose. 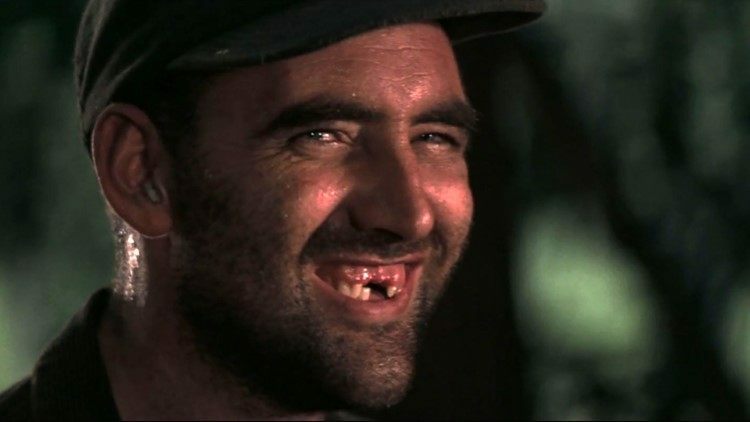 Biden is not the only one who can win here and in the Midwest. But Americans aren’t looking for radical change. We got that now! They want normalcy. 59. Did you see what I quoted about bipartisanship? Anyone who is pushing for bipartisanship right now has no idea what is going on with our political system. Americans are looking for us to address political corruption, voter suppression, gerrymandering, and dirty money. And we will get zero done on those issues with bipartisanship. For the corrupt GOP, those are life and death issues. 12. Is he viewed favorably ANYWHERE? 19. Surprising. They seem fond of racists down there. 20. Demographics were interesting in the poll. As seen in the poll's Powerpoint, tRump is least popular in young people, Democrats, and African-Americans. I was hoping to see a more unfavorable ranking among retirees. I guess we'll have to wait until Repugs more openly threaten Social Security, which may be coming soon. Also note that when the poll asked "For whom would you vote to be the Democratic Presidential Nominee in 2020 if the election were held today? ", 74% responded as "undecided" when asked open-ended and 46% undecided when asked with currently-announced primary candidates specifically named. 22. ..."spend more time consolidating your base"
Isn't that all he's done for 2+ years?!? I've lived here for 25 years and after the 2016 and 2018 elections, I refuse to believe any polls no matter how bad they are for GOP scum. There's just too many backwards, racist rednecks here that come out of the woodwork. And election fraud. I have lived in Florida for many years, and I really don't see a DEM Presidential candidate beating Trump in 2020. It takes a once in a generation type of Dem Candidate to win Florida, such as Obama, the best president of my lifetime. The state has been trending towards becoming a solid Republican state for the last two decades, all the branches of power outside of AG Commissioner are controlled by the GOP. Your talking about a state that elected a crook (Rick Scott) not once, but three times! Its early in the nomination process, but as of yet, I don't see a DEM candidate that has the juice to carry Florida, maybe Biden, or Beto, but definitely not Sanders or Warren, they would fare about as well Clinton, carrying about 48% of the Florida vote. Plus, never underestimate the amount of thievery that the Florida GOP will be willing to conduct for Trump in order to get him the state. I hope that I am wrong, but I have seen these same type of poll numbers for Rick Scott in the past, and he has always ended up winning the election. I think the best bet is to take back all the Rust Belt (Mich, Wisc, Penn, and Iowa), I believe Ohio is probably too big of a hurdle due to southern part of Ohio pretty much becoming a sea of red. more money on advertising. "Oh, look! You're down in this poll. Better buy more ad time. Better put out a mailer. Better make those robo calls." Shown us again and again that it is fool's gold for Dems, no matter what a poll says. Yes, Obama carried it but he also carried Indiana in 2008. Florida's elections are rigged. We can't count on ever winning there. 38. Rigged elections did not cost those races. After all we won the secretary of Agriculture race. Neither of our candidates were great. Nelson just went through the motions. And Gillum, while I love him was too progressive to win here even in a very winnable race. Graham wins that race. ... until we have an actual Democratic nominee with a name and a chosen Veep. Then the Republicans will have actual attacks to make, nicknames to attach. Then we'll see where the numbers go. Florida voters: "Yeah, we hate Trump, but at least he's not (pick one: Harris, Biden, Sanders, etc)"
39. When folks like my father are opposed to Trump; you're fucked. My father is the epitome of evangelical Florida voter. The GOP needs to field a “not Trump” candidate if they expect a shot in 2020. Americans want government to work for them and in their interests. Look no further than the election results in my part of CD (PA-17) this past Nov. Gov Wolf and LtGov Fetterman are unabashed liberal/progressives, but under Wolf's leadership the state has actually done things to improve the lives of regular Pennsylvanians. And voters noticed and noted that. Conor Lamb ran as a "moderate" Dem, buying into the whole GOP meme of "liberal" Nancy Pelosi and distancing himself from her. In my county (Beaver, the largest area of CD 17 and generally more conservative than moderate), Wolf got 53.3% of the vote, Lamb got 48.3%. 50. Don't tell that to Floridians. What your selling does not play here. We just ran a very progressive, exciting young candidate against a beatable republican and lost. Most of our republican district pick ups last year were not by progressive candidates but those that fit their district. A very progressive candidate is guaranteed to win the states we won in 16. No more. You want Florida Biden is the best choice at this time. is old, white, homogenous and full of bigots and rednecks. The median age is nearly 45, making one of the oldest counties in the state. It's not that different from FL. 54. Florida is around 55% white. If you don't count Hispanics as white. Although the Cubans tend republican. Hardly what your county is. But we are old and old people vote. are people who moved to FL from my part of PA. Every day the obits in my local newspaper have at least a couple that say the deceased passed away in FL. 62. I'd classify Biden as a progressive. Not as liberal as Sanders but still, he‘s pretty reliably left of center. And that’s a good thing, IMO.